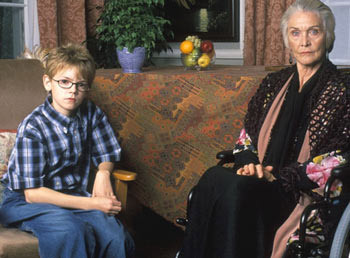 Love Actually actor, Thomas Sangster, as Robert in Feather Boy. 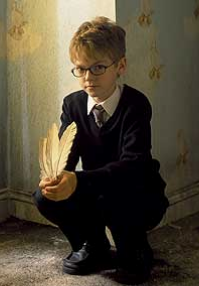 Feather Boy won a BAFTA for Best Children’s Film. 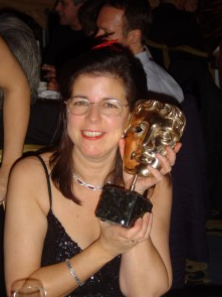 The award actually went to Producer Peter Tabern and Director Dermot Boyd, but here’s me getting my little piece of glory. Is there a DVD of the film? No – sadly not. However, I do have a few (precious!) personal copies which can be borrowed after an event/school visit. Otherwise the film is normally available on Netflix.